Had a nice four days respite from cooking while traveling to the Bay Area with my Son, Joel, Daughter-In-Law, Nereida and my Grandson, Joey. We went up to visit my Granddaughter, Nesbyth and her boy friend and to attend a performance of the play that Nesbyth is performing in. The play is the first part of Tom Stoppard’s trilogy ‘Utopia’. The segment that they are doing now is called ‘The Voyage’. While up in the Bay Area we found a wonderful Italian Deli in Berkeley that is like no other that I have ever been to. The lines were long, but the wait wasn’t. There were an ample number of employees to ensure that everyone was waited on in record time. The display of Italian Cold Cuts was so beautiful that it was hard to resist buying everything in sight. We ended up getting sandwiches for everyone (everybody had different ones) and several salads including an Artichoke Heart Salad and a Mozzarella/Tomato Salad plus a variety of Olives. We purchased so much food that we ended up eating some of it for lunch the next day. In addition to the cold cuts, the Deli also had a variety of tortas and other cooked food as well as pizzas that you could order. On the way home from Berkeley, we stopped in Gilroy to purchase Garlic (a Braid and a small container of roasted garlic) and while we were there since it was close to dinnertime, had dinner there. Nereida and I chose a Chinese Noodle place (Joey stayed up in the Bay area for one more day and came home with a friend that had also gone up there) and Joel went to Dave’s Famous BBQ. The Chinese Noodle place turned out to be disappointing and we did not eat most of what we ordered. For Breakfast the next day, I made up a batch of Crepes with caramelized Apple Filling. 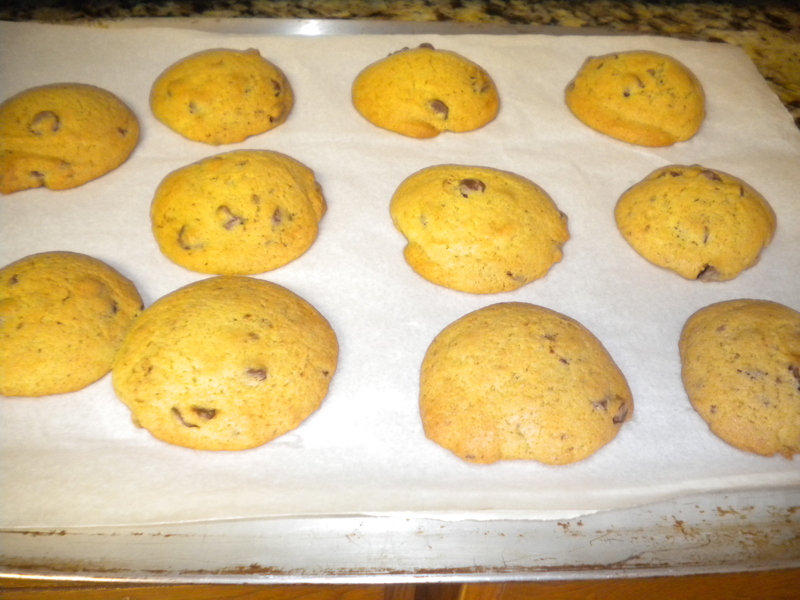 Those were quite good and went well with the Coffee that Nereida made. 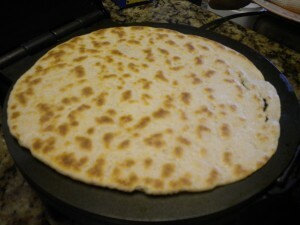 Monday, April 02, 2012 – back home and in the kitchen again. For dinner tonight I purchased Red Snapper Filets and seasoned them with Lemon Pepper and Lemon Salt along with a little Onion Salt. Then I lightly floured them, dipped them in an Egg Bath and then coated them with seasoned Bread Crumbs. (The Bread Crumbs were made from the ends of the Challah that I had made a couple of weeks ago. Just chopped up the bread scraps in the food processor and then froze them until needed.) I then refrigerated the filets until it was time to cook them for dinner. Refrigerating coated or breaded meats helps to keep the coating intact when you cook them. The Red Snapper filets were very good and to accompany them we had baked potatoes and sautéed vegetables which included zucchini, mushrooms, carrots and onions. 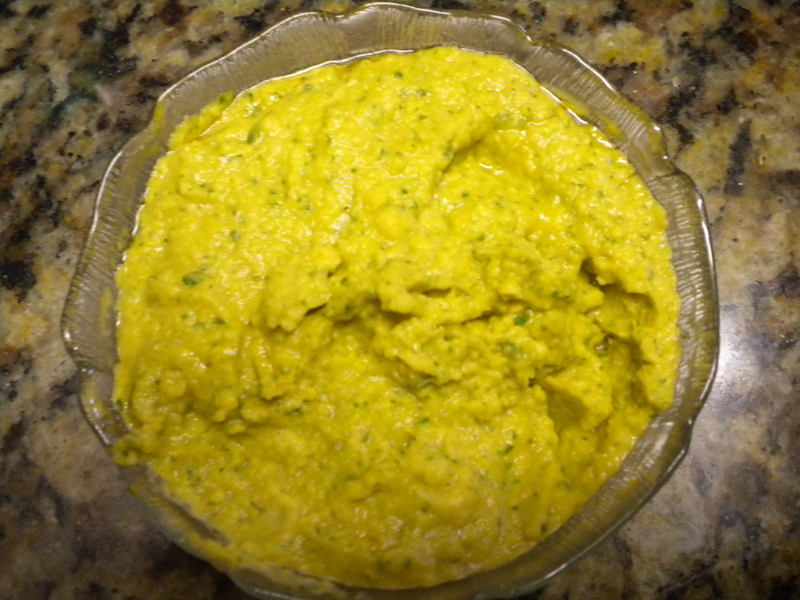 I also made Tartar Sauce to eat with the fish. Tuesday, April 03, 2012 – Today is Cleaning Day and it is one of the few days that I like to give the kitchen a rest. That is, keep it clean for one day. So we went out to eat at our local Japanese Restaurant and had Beef Teriyaki, California Roll along with a Salad & Miso Soup. A nice change from constant cooking. These meatballs were a derivation from a Moroccan Lamb Kebob Recipe. I am going to teach a class at a local school that has no kitchen facilities for teaching, so I have to improvise with electric appliances. The Meatballs are a much simpler item to do than lamb Kebobs which would include grilling. Used the Middle Eastern spices to flavor the meat and the tomato sauce that I served with it. 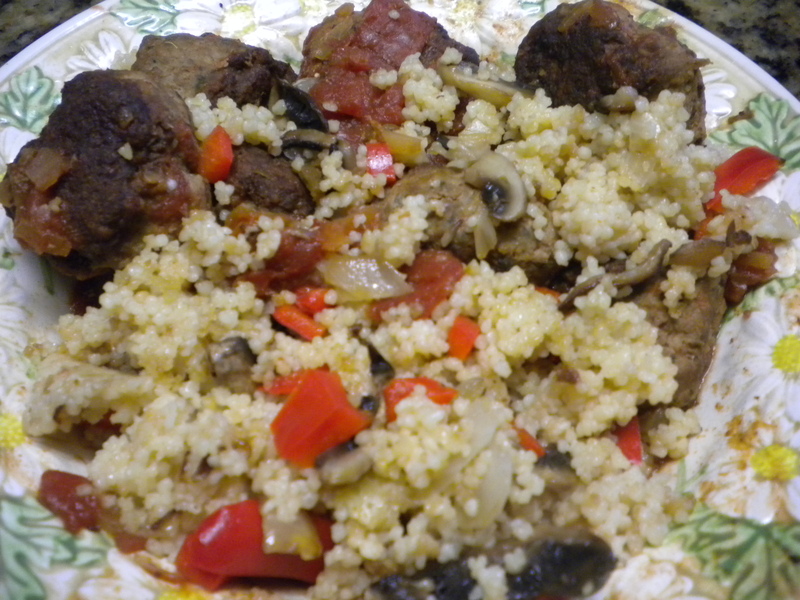 The Couscous was made with Shitake Mushrooms and Onions. Also made Flat Bread to go along with the meals as well as Hummus that was flavored with Cilantro. Also made Chocolate Chip Cookies to satisfy Ev’s Chocolate Cravings. Thursday, April 05, 2012 – Shrimp Salad and Mac and Cheese was on the Menu this night. Ev wanted Pasta to go with the Salad and I do not like Pasta Salads very much so decided to make Mac & Cheese to go along with the Shrimp Salad. The Salad consisted of a variety of Artisan Lettuce, Cucumbers, Carrots, Red Bell Peppers and the Shrimp along with a Sesame version of Thousand Island Dressing. The Mac and Cheese was made with Orichetti, the Italian Pasta known as ears. The Cheese Sauce was made with Colby/Jack and Gouda. Gouda helps to make the Cheese Sauce very Creamy. It was very good and there enough left over for Ev to eat for lunch the next day. 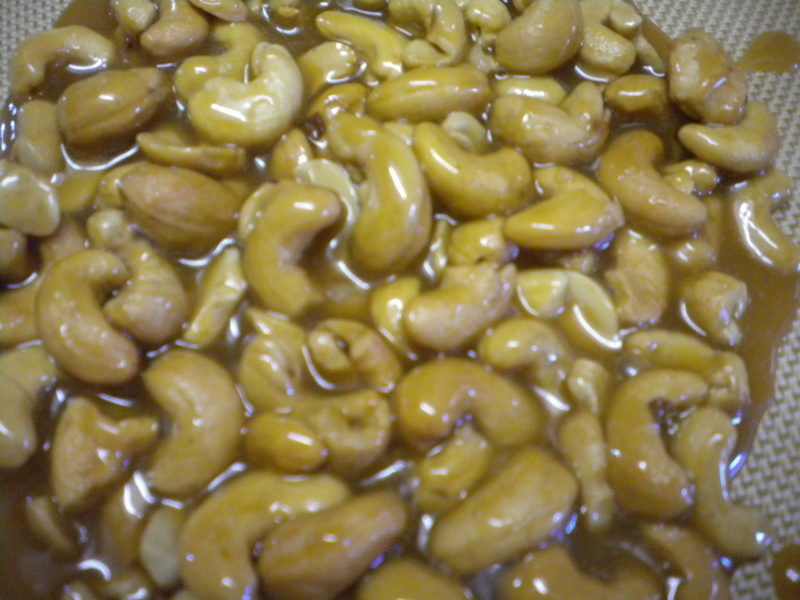 Since today was National Caramel Day, I also made some Cashew Caramel. To make the Caramel, I heated some granulated sugar in a medium fring pan until it liquified and then I added a small amount of heavy cream. Once the Cream was blended in, I then added the Cashews (roasted, salted ones). Once all the Cashews were covered with the Caramel, I poured the mixture onto a non-stick baking sheet that was placed on a cookie sheet. The mixture was then allowed to set up. If you love Caramel and Cashews as I do, then this is a very good confection to have. Friday, April 06, 2012 – Red Chicken – found this recipe in one of the food magazines. Red Cooking comes from a region in China and includes the use of Mushroom Soy which is the essential flavoring in it. We found it to be a little too salty and would probably do again with have the amount of the Mushroom Soy and perhaps substitute a lite Soy for that half of the Mushroom Soy. Served this with Rice Noodles and Turnip Sunomono. 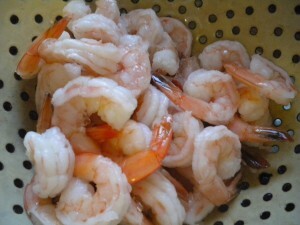 Saturday, April 07, 2012 – Crab Legs with drawn Butter, Carrot Salad and Baby Red Potatoes. Yummy! A very good dinner! Caramel Lovers, Beware! April 5th is National Caramel Day and who doesn’t like Caramels? Not everyone loves them, but I can’t imagine not liking them. Caramel can come in many forms. Candy, Sauce, Toppings for Ice Cream, Covering for Apples and glue for Popcorn. Incidentally, tomorrow April 3rd is National Caramel Popcorn Day. In addition to sweets caramelization also occurs in cooked food such as onions, apples, even meats. 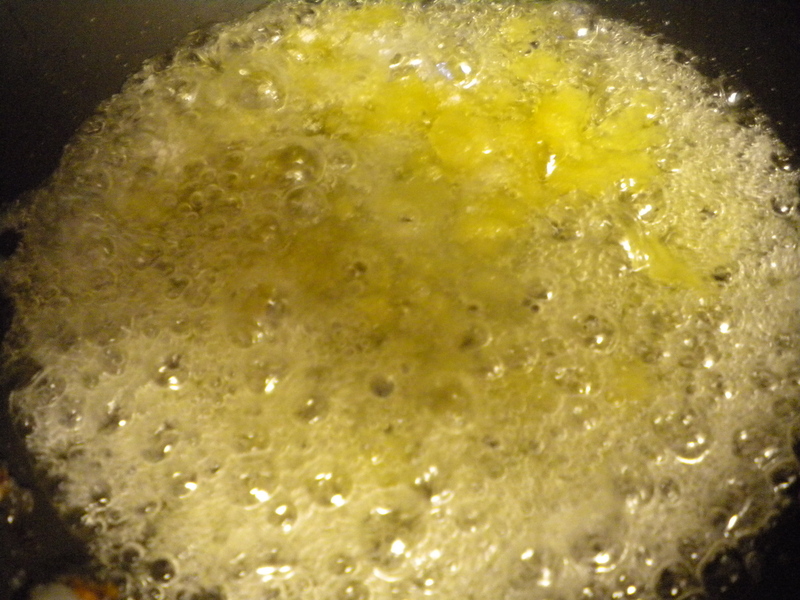 Caramelization adds wonderful flavor to most foods and all it takes is a little bit of sugar and some heat. With some foods, like onions, the sugar occurs naturally and does not have to be added to get the caramelization. Many popular candy bars are made with Caramel; just go look in the supermarket candy section and you will discover which ones. A favorite South American Cookie, called Alfajores is also made with Caramel of Dulce de Leche as it is known in Latin Countries. Alfajores are a vanilla cookies sandwiched with Caramel in the middle. You can buy Caramel Candy in the Supermarket, at the Drugstore or the Candy Store. It just depends in what form you would like to have it. 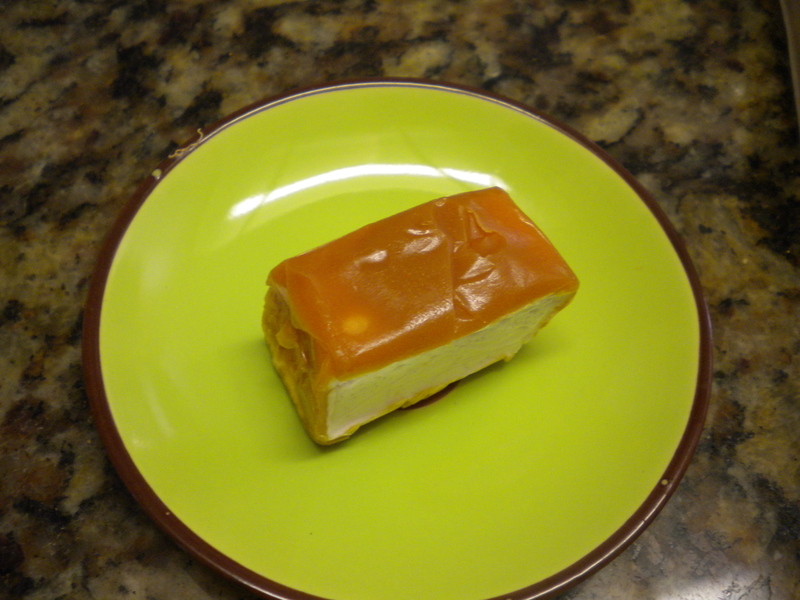 One of my favorites are caramel covered marshmallows. Just heavenly and even better when you keep them in the freezer. To make Caramel, the general way to do it is to melt some sugar in a saute pan (copper is best, but stainless with a copper or aluminum bottom will also work.) over medium-high heat. Once it melts and starts to color, remove from the heat until you are ready to finish it. When you are ready, add some very heavy cream and cook and stir until all the ingredients are combined. This will results in a very delicious Caramel Sauce. For more Caramel, don’t forget that April 6th is National Caramel Popcorn Day. Another American favorite!